What did Albert Bandura think of the film 'Eye in the Sky'? The movie Eye in the Sky focuses on a political, legal, and moral predicament in which a hardened British colonel is the commander of an international mission to capture al Shabaab terrorists in Nairobi, Kenya. The mission is complicated when terrorists are discovered in a safe house preparing suicide bombers, and the occupants include radicalised converts from two countries, Britain and the U.S. To further complicate matters, bombing suspected terrorists in countries with which one is not at war violates national sovereignty and international law. To manage these legal and politically charged issues required the participation of officials dispersed internationally. The discovery in the safe house changed the mission from capturing terrorists to killing them. Seeking approval to launch the drone strike was widely diffused internationally across multiple bureaucratic chains of command. The commander of the mission was in London. The drone operator was in Las Vegas. The facial recognition official was located in Pearl Harbor. Mindful of the legal and politically-charged issues, officials in the Defense Department and Whitehall and their legal counsels got involved, as did U.S. and British top officials managing foreign affairs. A good share of the movie was devoted to displacement of decisional responsibility up the bureaucratic kill chain. At each level officials “refer up” to higher echelon officials on the grounds that they lack the authority to make the decision. The movie humanises “collateral damage” that strips humanity from innocent people who are killed. As they were about to launch the missile, a winsome little girl sets up a table in front of the safe house selling bread. The perturbed drone pilot asked for a brief delay until she leaves the “kill zone,” only to be commanded twice to fire. In an act of moral courage, he asserts that as commander of the missiles, he has the right for new clearance with a new “CD” (collateral damage). 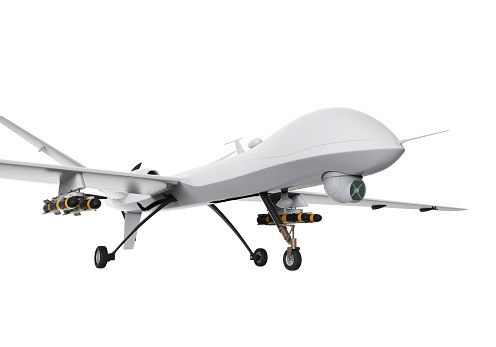 The drone program was conducted on a peculiar operational ethic that decides who dies. A risk assessor rates the probability of civilian deaths. In this metric, a civilian kill ratio below 50% gives license to deploy missiles. Human lives are reduced to probabilities. The commander, whose agent was recently killed by terrorists, is eager to receive authorisation to target the safe house. She complains that she cannot find anyone who is not “trying hard not to make a decision.” The risk assessor offers a range of probabilities. The commander sends the lower-risk value up the “kill chain” to the Lt. General presiding over the panel that issues the clearance to launch missiles. However, a trenchant member challenges their authority to do so on the grounds that the mission was approved to capture terrorists, not to kill them. They consult the senior legal advisor at the U.S. Security Council. She explains that they have a point system that determines what constitutes a legal strike. She goes on to criticize the panel for putting the mission on hold “for one collateral damage.” If they allow these terrorists at the top of the kill list to blow up a shopping mall, she warns, it will anger the White House and the Pentagon. Because of further objections within the panel, the request was referred to the British Foreign Secretary. He explains that he can not grant the clearance because one of the terrorists has an American passport. On referral, the United States Secretary of State rules that because she declared herself an enemy of the U.S. she is not protected. He approves the missile strikes with a critique of the Brits as a bunch of equivocators. Reassessment of the risk of civilian casualties was the remaining obstacle. The risk assessor repeatedly reported high risk of civilian deaths regardless of where the bomb hits. The commander manipulates him to provide a lower risk with appeals that it will save many civilian lives. Under continued social pressure he reluctantly lowers the risk factor to 45%. However, to ease concern over the effects of his acquiescence, he tells her that the figure is “only an estimate” while she is walking away ignoring his qualms. Having received clearance throughout the kill chain, the panel argues about the legitimacy of different actions and voices concerns over the political and diplomatic repercussions of killing civilians in a foreign country. The trenchant member framed the issue in terms of the morality of killing an innocent human being: “If they kill 80 people, we win the propaganda war. If we kill one child, they do.” They eventually settle on the consequential utilitarian ethic. A few are sacrificed to save many. One of the members even quantifies the benefits. Sacrificing the child, he explains, will save up to 80 lives. Given the moral justification and claimed low risk of civilian casualties they granted clearance to fire the missiles. The missile demolishes the safe house and injures the young girl. The high priority British terrorist, who has been the commander’s nemesis, is still alive but severely injured. They fire another missile that flattens the remainder of the safe house but also kills the girl. The commander declares “Mission Accomplished.” To support the legitimacy of their actions, she instructs the risk assessor to file the report with the risk at 45%. As a movie, of course, there is artistic leeway in the portrayal of many of the events. For melodramatic purpose, an engaging child was cast as the sole representation of civilian casualties. In actual drone warfare, the human toll is much larger, more diverse in wider radius. The nature and size of the comparative toll between civilians and militants can affect moral judgment. The drone pilot was deeply distraught by the prospect of injuring or killing the child. In real drone warfare, drone pilots would not last long if they could not dehumanize and distance themselves psychologically from their victims. The authorisers subscribed uniformly to the consequential utilitarian ethic. It remains a question whether, in viewers’ debates, the uniformity of the moral principle governing the actors’ judgment foreclosed or elicited consideration of alternative moral principles. - Albert Bandura is David Starr Jordan Professor of Social Science in Psychology / Emeritus at Stanford University. An article from him on drone warfare is in the pipeline for a future edition. Also read an extract from his book 'Moral Disengagement'. Eye in the Sky is out on DVD and streaming services now.